Ranger Eigill Wahlberg spent 2 years living and working on the Chatham Islands before heading off for a two year stint on Stewart Island. 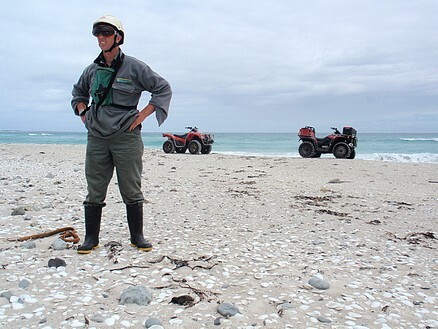 This summer he’s been back on the Chatham Islands undertaking predator control and nest monitoring for the world’s rarest oystercatcher – the Chatham Island Oystercatcher. Once numbering just 52 birds, the Chatham Island oystercatcher population now stands at around 300 birds due to predator control and habitat protection. While present on some of the islands rocky coasts, the beautiful sandy beaches on the islands north coast are the stronghold for the species, but also present one of the largest challenges – marram grass. Introduced in the 1920’s to stop sand dune movement and protect farmland, marram has edged out other native dune species and covered the open areas in which oystercatchers prefer to nest. This forces the oystercatchers to nest close to the high-tide line and risk their eggs being swept away in a storm. Eigill’s summer at the beach included finding and regularly checking each oystercatcher nest. If the nest was too close to the tide line, Eigill would move the eggs a meter or two a day up the beach to safer ground. As long as the movements weren’t too big the parent birds happily reoccupy the ‘new’ nest. 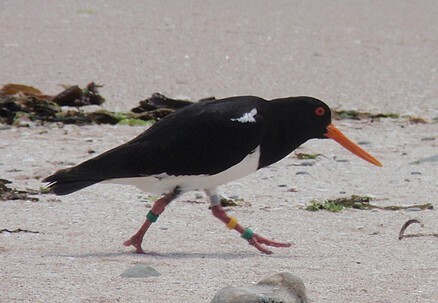 Eigll’s other task was reducing the risk posed to the oystercatchers by predators. Feral cats are, like in many other places in the country, a significant issue, however the Chatham Islands have a unique problem – the weka. Introduced to Chatham Island in 1911, the eastern buff weka has prospered and regularly clog traps set for cats. This year Eigill had to evict some 253 of them from his traps! Determining the fate of each nest has made Eigill a bit of a detective. A nest with 3 eggs has been observed for a couple of weeks and then suddenly the nest is empty. Did the chick hatch (and where are they), are there any cat or weka tracks, what about broken eggshell or remains? I found out firsthand how difficult it is to spot oystercatcher eggs and chicks among the sand, driftwood and seaweed when I got to spend a day out with Eigill on beach patrol. Oystercatcher nests are not elaborate affairs, just a scrape in the sand, often adjacent to a scrap of driftwood or seaweed. 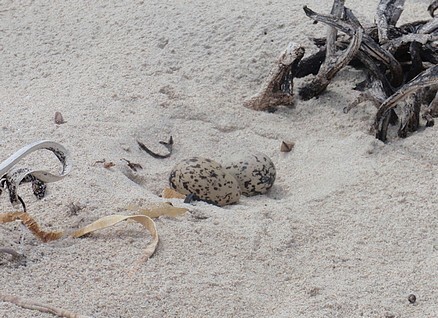 The well camouflaged chicks leave the nest immediately but stay in the territory, meaning 100m or more of the beach needs to be painstakingly searched in order to find them. 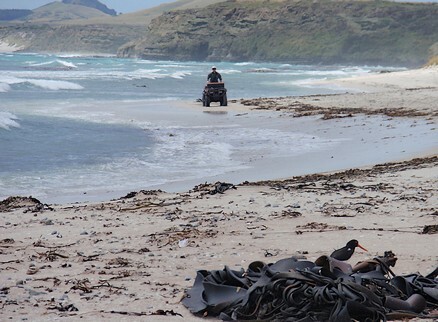 During one of these searches Eigill found a chick that had met an unusual death – having got a wing stuck in a piece of plastic debris from a fishing buoy. Despite Eigill’s care, not all the nests survived. High seas accounted for some, cats and weka accounted for others, but overall breeding success was significantly higher than in recent years – good on ya Eigill!